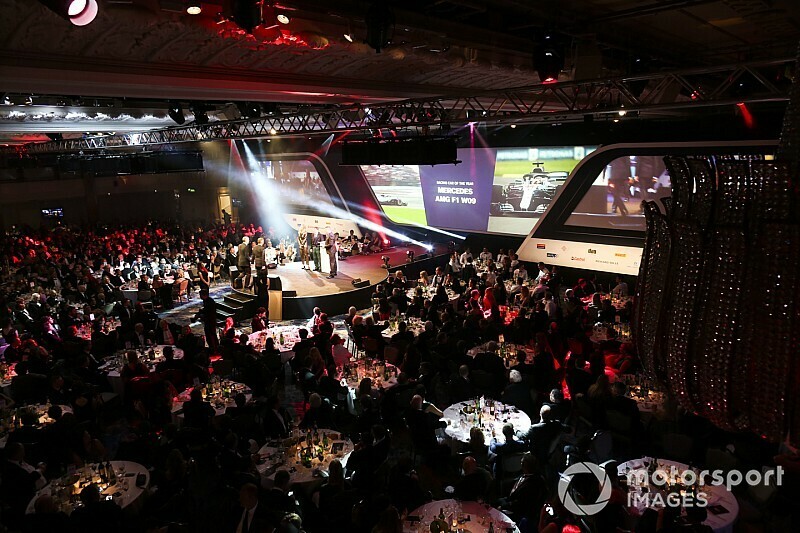 Dubbed 'The Greatest Night in Motorsport,' last night's Autosport Awards drew together the stars of the sport at the Grosvenor House Hotel on Park Lane in London to celebrate the achievements of the recently concluded motor racing season. As a time-honoured fixture in the sport's calendar, the Awards recognised the achievements of established drivers and the industry's luminary leaders as well accelerating the fortunes of Britain's emerging talent – both on the track and in the design office - to the very top echelons of the sport. In its 36th year, Motorsport Network's premier event was once again a rollcall of the industry's leading figures gracing the red carpet, including Jean Todt, President of motor racing's governing body, F1 CEO, Chase Carey and Formula E CEO, Alejandro Agag. They were joined by Toto Wolff, one of the sport's most successful team bosses who has presided over Mercedes' five consecutive Formula 1 World Championships that was recognised last night with an outstanding achievement award. The guest list of over 1,000 VIPs included legends of the sport from Mika Häkkinen to Jacky Ickx, as much as young race drivers taking up seats in top Formula 1 teams in 2019 such as Charles Leclerc and Pierre Gasly. The highlight of the evening was the revelation of this year's McLaren Autosport BRDC Award winner. The previous 27 winners include a crop of drivers who claimed world championships and titles in Formula 1, Indycar and sportcars and has two of its recent proteges taking to the grid for the first time in Melbourne next year, underscoring the potency of this award as a pathway to Formula 1. At the climax of the evening, Tom Gamble was confirmed as the latest recipient of the world's most prestigious young driver award. Gamble was joined at the Awards by two recent winners, Lando Norris, now confirmed as Fernando Alonso's replacement as a 2019 season driver for McLaren, and George Russell, who will line up alongside Robert Kubica for Williams next season. Paddy Lowe, Williams' Chief Technical Officer, also set another young aspirant's career in train by presenting the award for the Autosport Williams Engineer of the Future. Owen Heaney, an undergraduate from Imperial College, London, became the fourth recipient of the prestigious award that confers a two-year placement in an accelerated development programme at the team, providing the opportunity to work in the team's race operations division and gain experience at a Grand Prix. At the conclusion of the Awards, Motorsport Network's President, James Allen said, "It's been a glorious evening of celebration of the achievements across our sport from all four corners of the world. Once again, we have helped to recognise the achievements of the legends of the sport while at the same time, setting new careers on their way with an unprecedented level of backing and support. I genuinely believe that only Motorsport Network with its convening power across the industry has the capacity to bring all this fizzing talent together in one remarkable motor racing showcase."